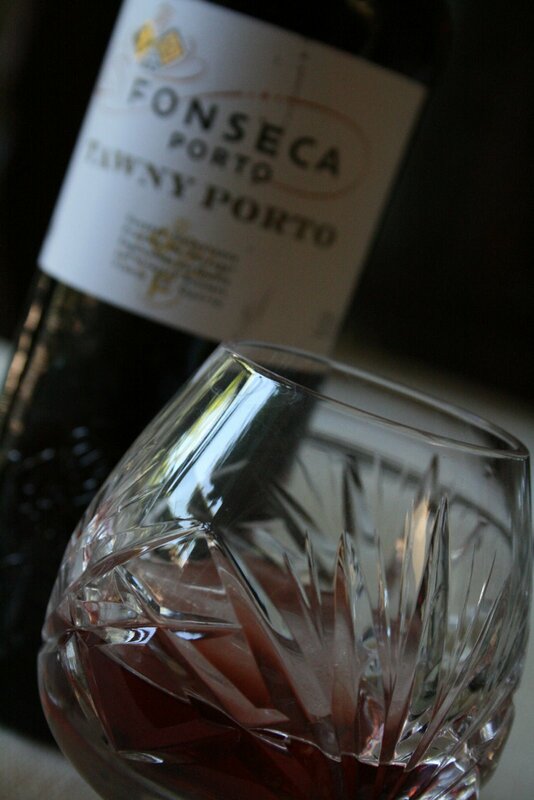 Port comes from Porto (in Portugal). Don’t know why I never put that one together but anyway, it’s good! It’s a wonderfully sweet dessert wine. I like to drink it out of these little crystal glasses my Oma (grandma) gave me…makes me feel like we’re classy, at least a little bit. I found this recipe in Cooking Light Magazine and tried it out last Sunday morning. It was pretty yummy! 1. To prepare batter, combine flour, baking powder, 1 Tbsp. sugar, salt, and nutmeg into medium bowl, stirring with a whisk. Add egg. Let stand 30 minutes. 3. Coat sides of 10-inch oven proof skillet with cooking spray. 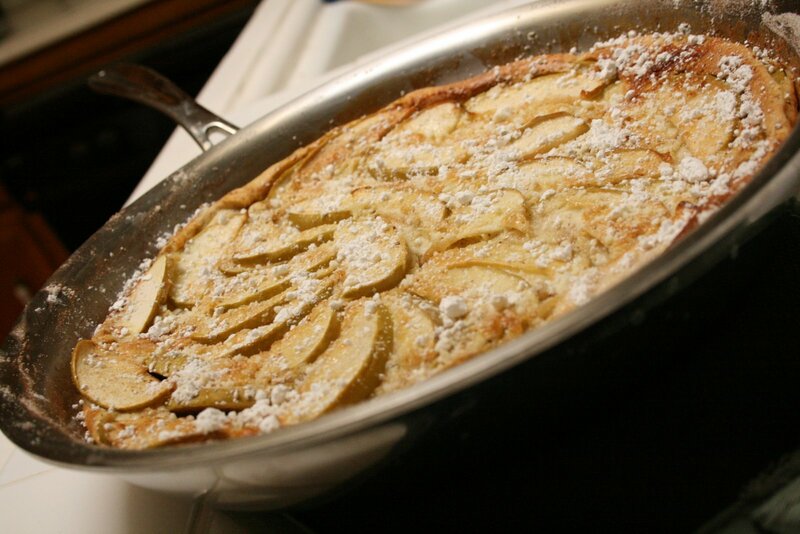 Combine 1/4 cup sugar, cinnamon, and nutmeg; sprinkle evenly over bottom and sides of pan. 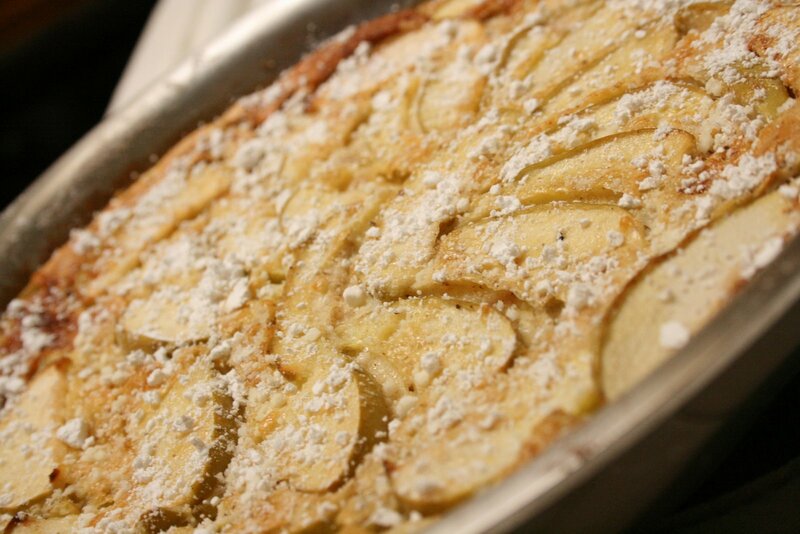 Arrange apple in an even spoke like layer in pan. Sprinkle apple with remaining 1/4 cup sugar. Cook over medium heat 8 minutes or until mixture bubbles. Slowly pour batter over apple mixture. 4. Bake at 425 for 15 minutes. Reduce oven temperature to 375 (do not remove pancake from oven); bake an additional 13 minutes or until center is set. Carefully loosen pancake with a spatula and slide onto a serving platter. Sift powdered sugar over top. Cut into 6 wedges; serve immediately. 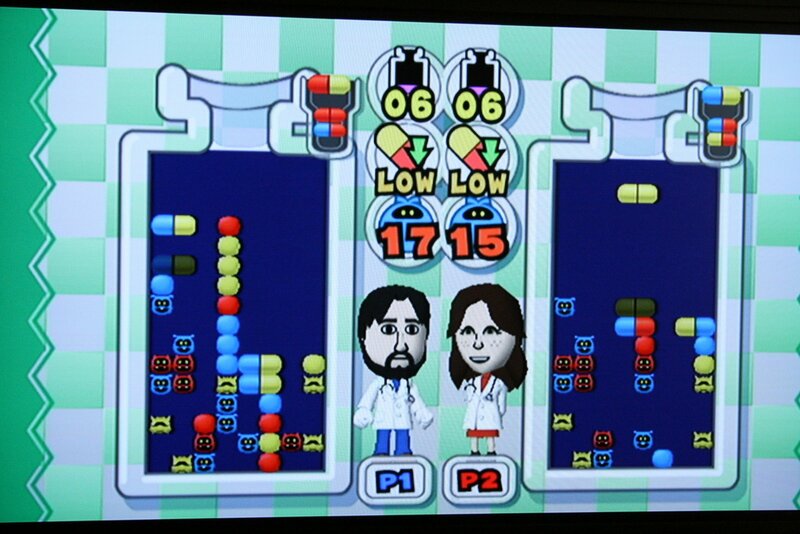 Dr. Mario…definitely our favorite video game right now. I don’t play video games but jared downloaded this for our Wii a couple months ago and I hadn’t played it in years! It turned out that I remembered how to play it and I was pretty good. It’s the only game I can beat him at!! Well, at least I thought I was good until I played Lindsayand she is impressively, no, freakishly good at it..yikes girl! Anyway, Laura and I are probably a better match. Do you like our mii characters? They look just like us! So I’m adding one photo as an addendum to the photo a day 3 just to prove how often this happens. 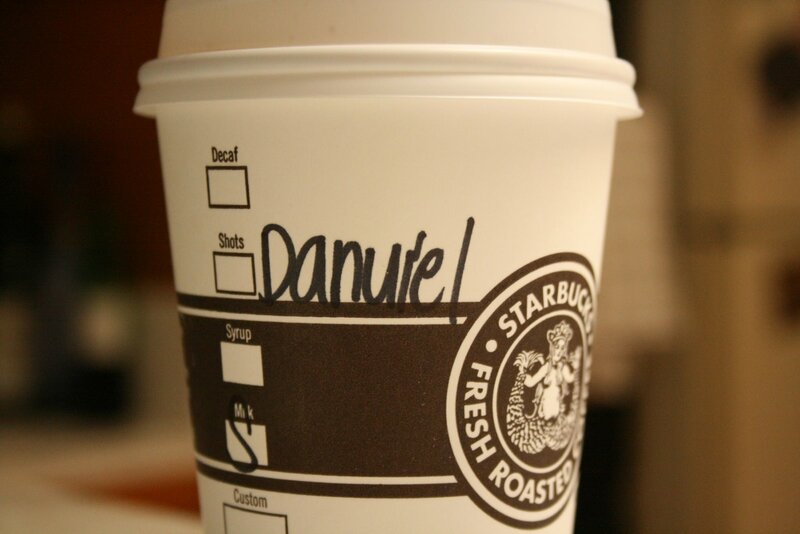 This happened today and I can say I’ve never seen my name spelled with a “u” before! The lady calling out my name (not the same person who wrote it) couldn’t figure out what it said, I just started laughing! 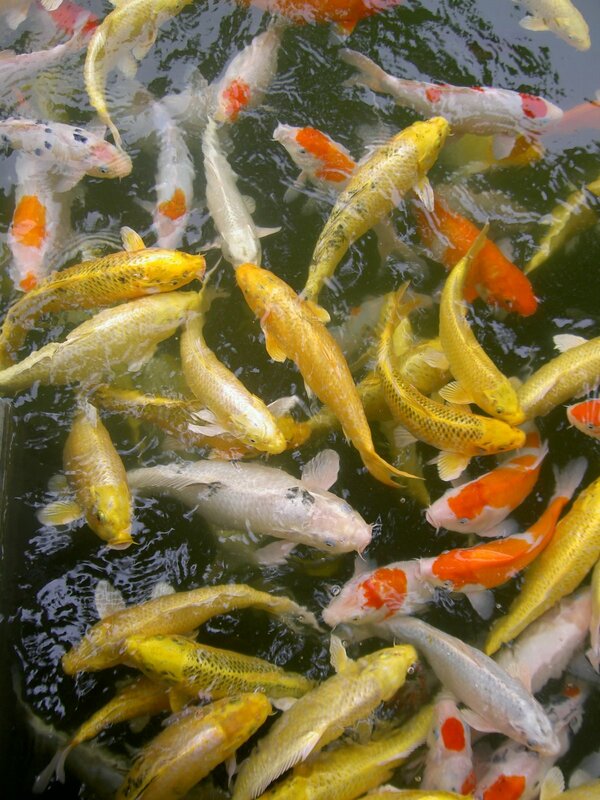 Perhaps one day I’ll have a coy pond…but sometimes I think, what would be the point. If there were no limitations, which animal would you have for a pet? It is also the time of year, however, when California weather is most confusing. It’s wonderfully brisk in the morning and evening, scarf and sweater weather! But, pretty warm-hot in the afternoon. Such a predicament when choosing clothing for the day. So, the solution? 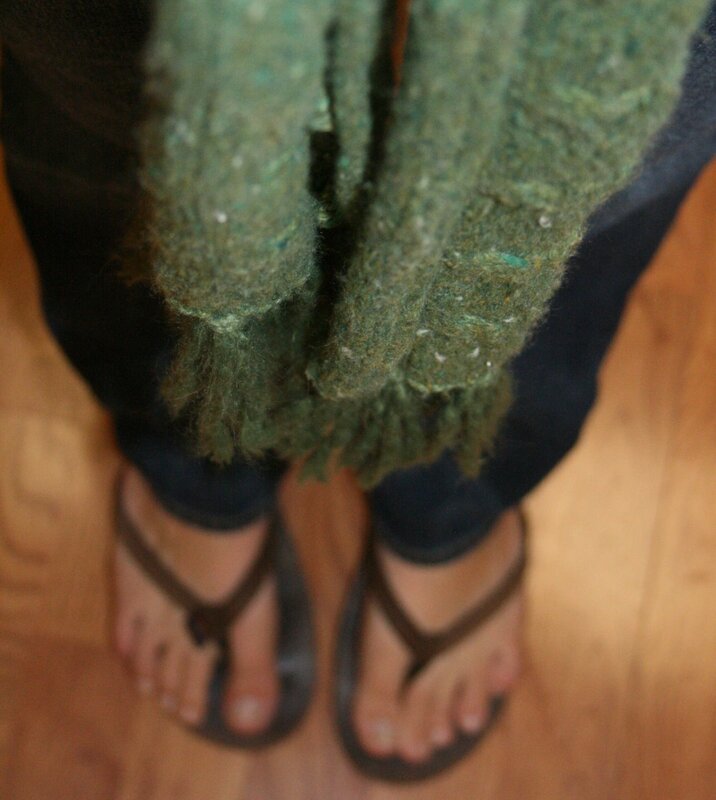 Jeans, flip flops, tank top, sweater and scarf. I’m sure I look ridiculous but I don’t want to bring a change of clothing to work with me everyday.Any thoughts? 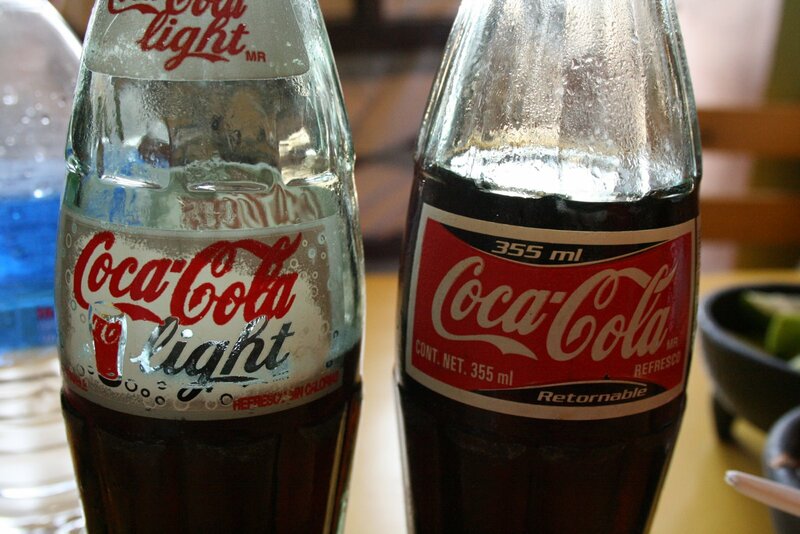 Coke tastes better in glass bottles. I’m trying to be healthier lately because if I’m in good habits now, it will be easier to keep them later. And now is always a better time to start than tomorrow. I like healthy food and when I have time, I’m super healthy, but a few things get in my way sometimes. I’m good at giving up chips, I’ll start eating them again but then I can give them up easily. Dessert is my all-time enemy, I love anything sweet and I love to bake. But I am all for low-fat desserts and am willing to try new healthy recipes. besides, it tastes better out of a glass bottle.